One of these days I'm going to be able to start a Moving Inspiration post with "we are actually moving!" Alas, today is not that day. We've toured a few houses in the last couple of weeks, driven around several neighborhoods, and spent large quantities of time scouting Redfin, so that's something. But so far, no dice on finding an actual house to buy. Robbie is the Stage Manager for a band and I am a blogger who runs a card shop on the side and does freelance styling and graphic work. We work hard, and we're proud of our careers and the fact that we've both been able to make decent livings doing what we love (for me, also while working from home with two children), but we're certainly not rich. We also live in an area with top-rated schools, great shopping and food, incredible parks, easy access to the city with public transportation - and a whole lot of houses that are way out of our price range. And while we've been looking at a large portion of the suburban Chicago area over the past six months, we recently made the decision to do our best to stay in the town where we're currently located (or the town next to it), which, while severely limiting our choices, we feel is the best thing we could do for our kids. Maybe we'll win the lottery and suddenly be presented with a plethora of homes from which to choose, but in the meantime, we're just staying on top of it and hoping that perfect (or even just doable) place will appear in the next couple of months. And now that I've updated you as to why we still (!!!) 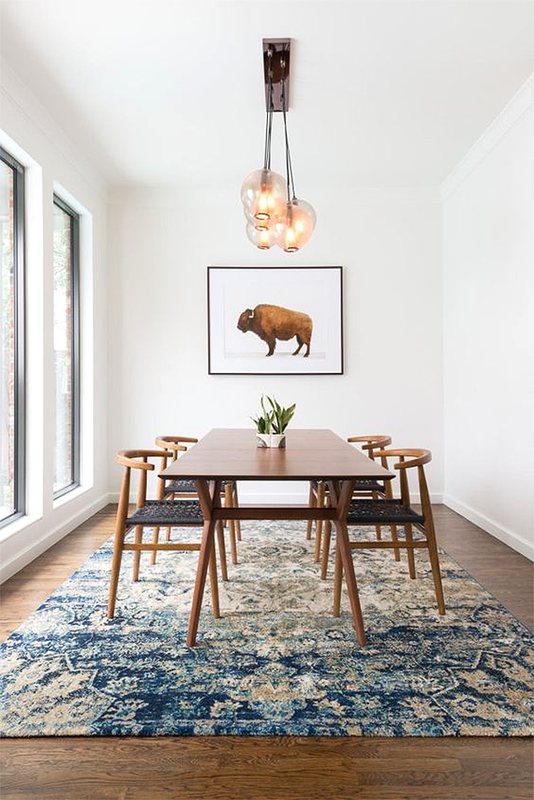 haven't moved, let's move on to the real topic of this post: dining rooms I love. So far I've shared my favorite kitchens, bathrooms, home offices/studios, bedrooms, living rooms, and kids' rooms. 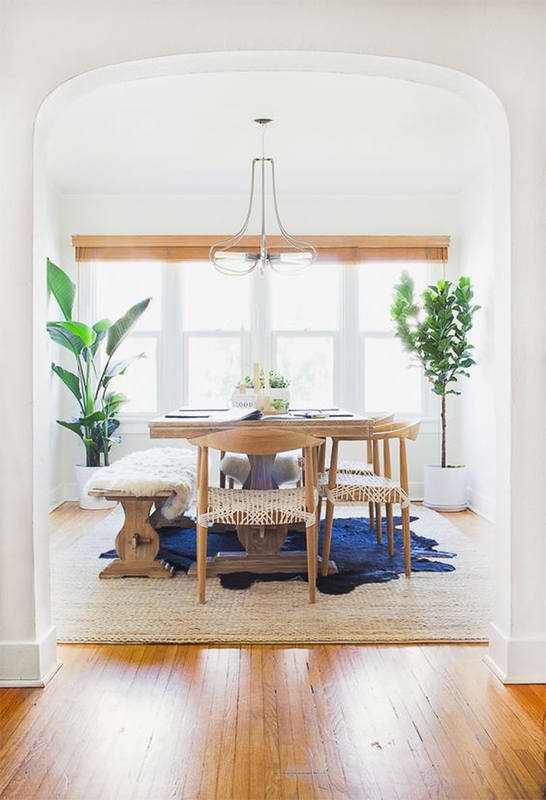 While I don't feel that a dining room is a necessity to the home we (hopefully) end up finding, we do use the dining room in our current place every single day for meals, and I'd love for our future home to have one as well. Truth be told, I feel like we sort of gave up on decorating our current space last summer when we decided to buy a bigger place, and I'm not a huge fan of much of our current home decor-wise for that reason - but our dining room is actually a space I could see transferring exactly to the new home. 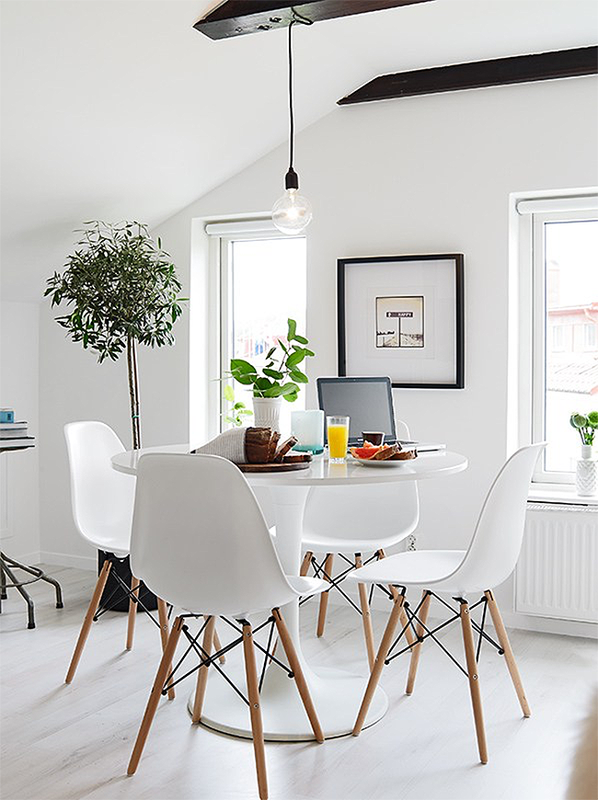 We have a simple black table, simple light wood chairs, some plants, a black industrial style hanging light (the same one as in image #3 above), and a large, colorful piece of artwork on the wall with a simple black frame. There is a lot of natural light too, which is a major bonus. Even if we keep everything the same though, I like to keep my eye out for ideas on how to add details and/or make minor changes. 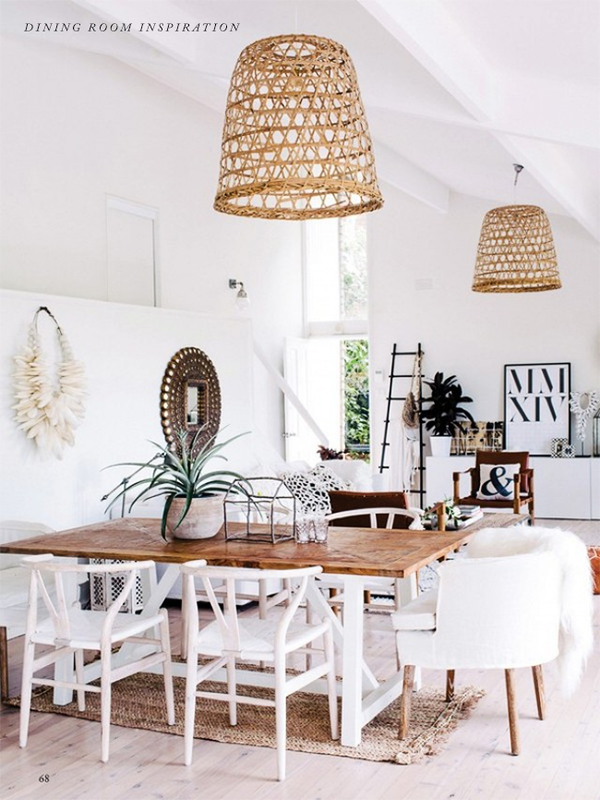 As you can see from the images above, I love spaces that feel light and airy with a minimalist vibe and some bohemian touches. Beautiful wood floors don't hurt either. (So basically, just like every other room of the house.) 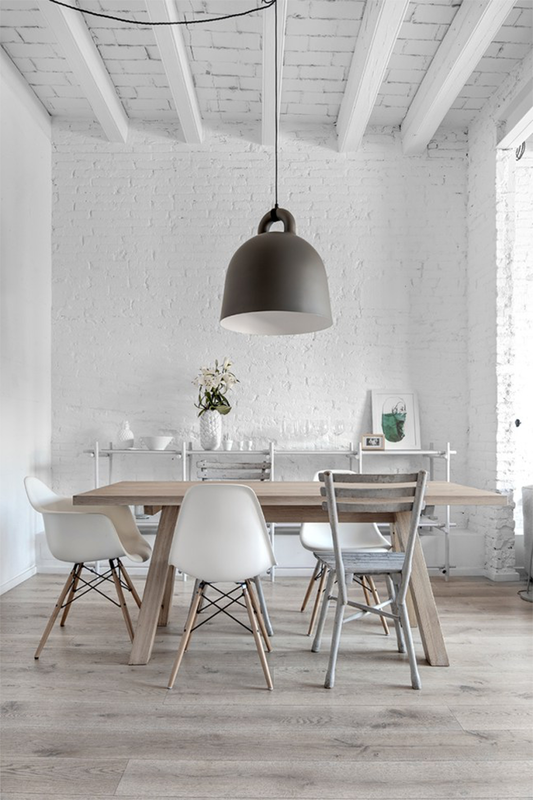 Also, I think it's funny that although I'm pretty over the whole Eames chair trend that's been big for the last, like, 7 years, half of the dining rooms above incorporate them. Maybe I'm not as over them as I thought. Fellow house-hunting warriors who have commented on past posts, how is your search going? Has anyone else moved recently? Crossing my fingers that you find the right home, soon! 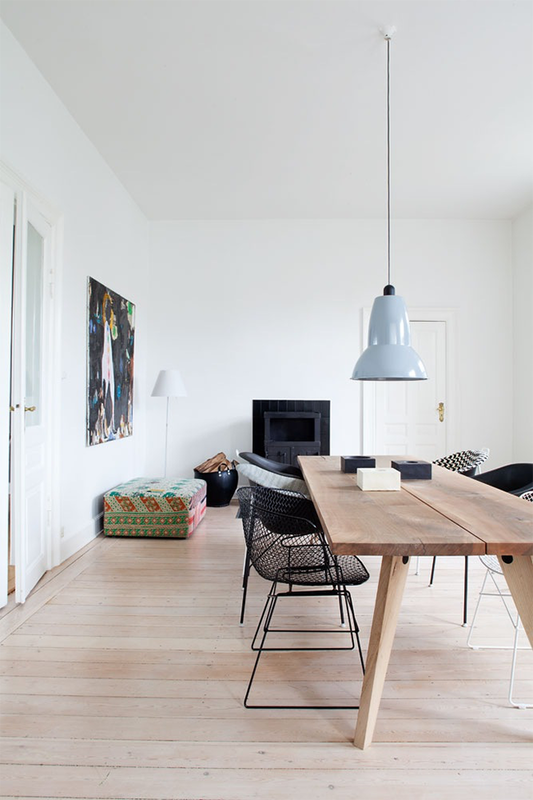 I love this dining room inspiration here. We have a little space for our dining table in our current apartment, but we gave up decorating it. Hoping to have a bigger space in our next place to actually decorate as a dining room! Fingers crossed that you find the perfect house soon! The moving process can be so frustrating - here's hoping the right place comes along soon! 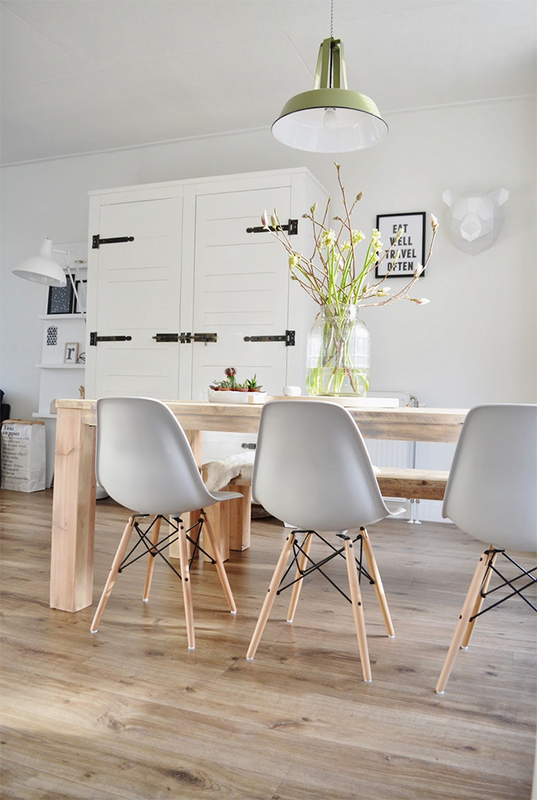 As for home decor, and dining rooms specifically, currently our dining room shares space with my office so, well, we most frequently eat our meals at the kitchen counter or on the couch. 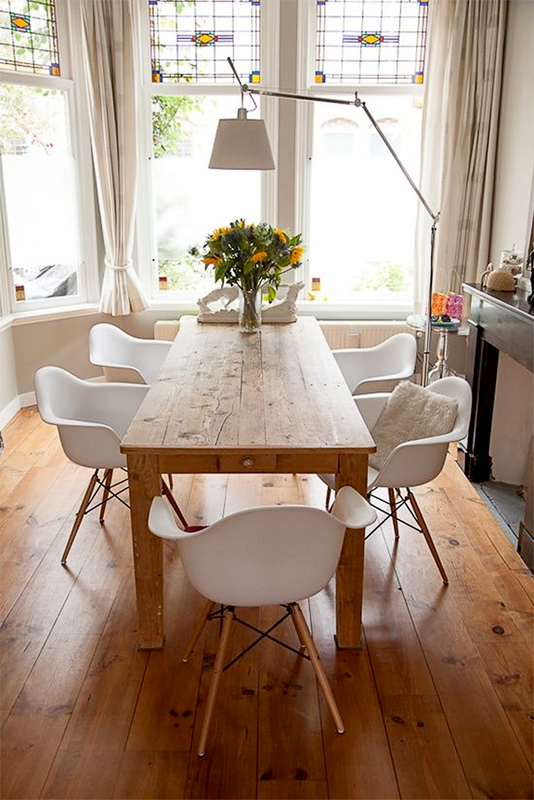 It's not ideal but I haven't found the inspiration I'm looking for to move ahead with decorating the dining room. Although some of these images definitely do help give me that push! These spaces are so gorgeous!